Amelia Basista enjoys converting common comfort foods into delicious whole food, plant-based recipes. She also teaches others how to cook plant-based foods and plan healthy meals. 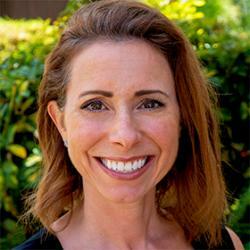 Amelia is a graduate of the CNS and eCornell Plant-Based Nutrition Certificate program. Visit her website at LottaVeg.com and follow her on Facebook, YouTube, Instagram, and Pinterest. 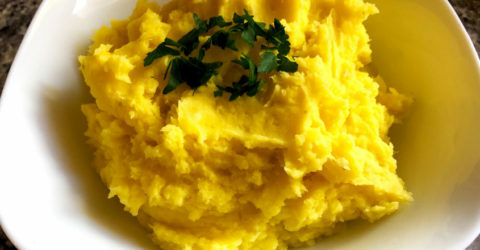 This simple plant-based mashed potato recipe is creamy and delicious. 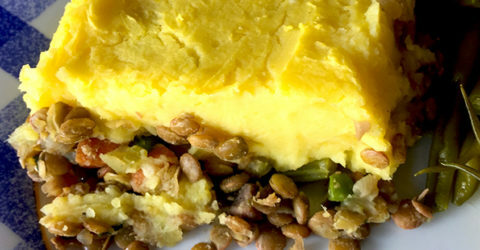 Serve it as an easy side dish for dinner or as the perfect topper on your shepherd’s pie.